If the black smoke over the Paris skyline and charred cars and buildings along the Champs-Elysees which have become characteristic of France's increasingly violent Yellow Vest protests over the past months weren't alarming enough, things look to get much worse as the government prepares to escalate. In an effort to clamp down on the unraveling security situation, which has lately seen banks and residential buildings torched, and luxury stores and restaurants vandalized and destroyed, the French authorities have announced the deployment of anti-terrorism military forces in order to protect and secure public buildings. Following the worsening protest situation of the past weekend (after a brief lull at the end of President Macron's failed 'great debate' initiative which pushed town halls to air grievances), which nearly turned deadly for random civilianscaught in the mayhem of rioters clashing with police, the government will redirect counter-terror troops from Opération Sentinelle to focus on Yellow Vest related threats. 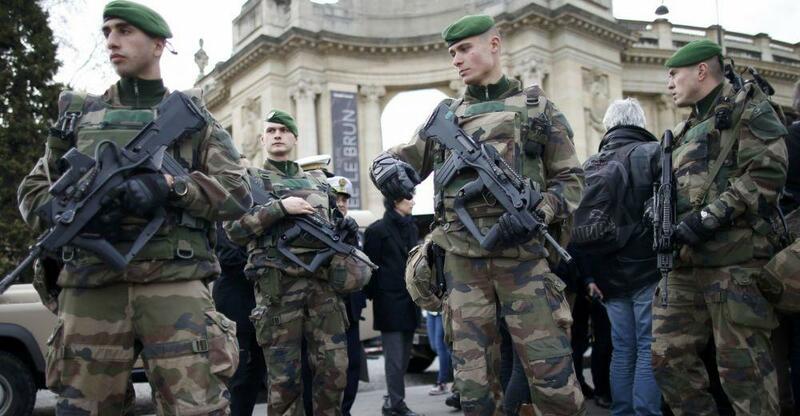 According to Bloomberg, French authorities have sought to calm the obvious and immediate fears raised that the move constitutes the government taking a full martial law approach of sending the military against its own people. Following a weekly cabinet meeting on Wednesday, government spokesman Benjamin Griveaux pointed to the "new forms of violence" Saturday which he said justifies deploying the counter-terror forces. "After seeing the new forms of violence Saturday, emergency measures will be taken to reinforce the reaction of the security forces," Griveaux said. He added this is to include "the reinforced mobilization of Sentinelle to protect official building and other fixed positions in the capital." "Individuals have decided to attack democracy and its symbols," Griveaux said further. These are not demonstrators but rioters, and the distinction is very different. Demonstrations are protected by the law; rioting is not. Regular police forces will still "concentrate on crowd control, along with maintaining law and order," Griveaux said, which presumably means the Sentinelle could respond to more extreme situations that unfold like acts of rioting, burning, and vandalism. 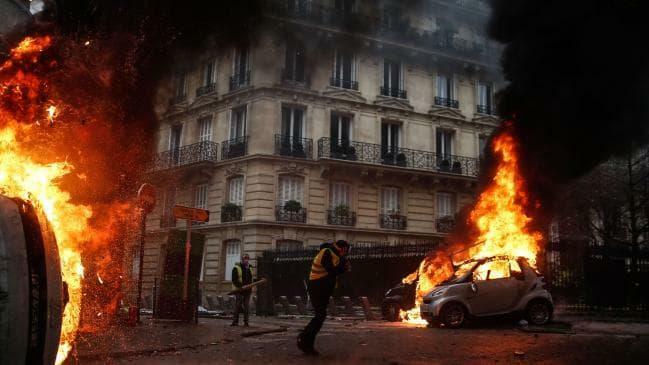 Macron's government has lately appeared powerless as shocking and embarrassing (for security forces) images of the iconic Champs-Elysees looking like a bombed out war zone have been beamed around the world. But it now appears Macron is ever more ready to try a "gloves off" approach in his deploying counter-terror military forces against what Paris officials have described as far-left "black bloc" activists or ultra-radicals and anarchists who merely seek as much destruction as possible.